Get your notebooks out, class is about to start. 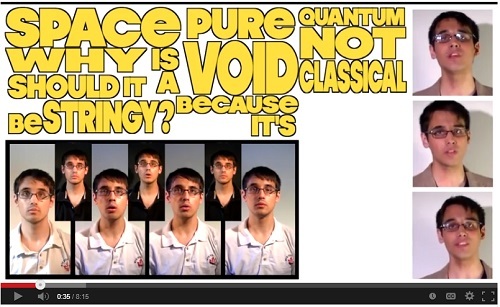 Nerds are cool….nothing else to say here. We’ve all played air guitar at some point and when playing air guitar, we are all rock gods. Now it’s time to take air guitar to the next level. 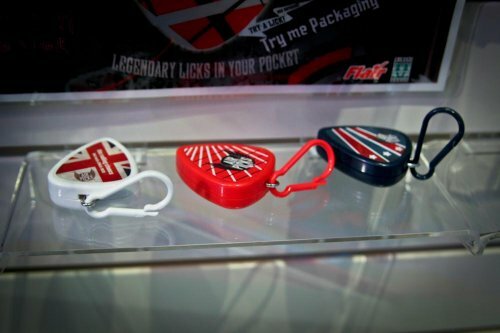 Air Picks are pocket sized electronic air picks that allow you to enjoy a few songs. How you play them in the air is up to you. There are three picks to choose from right now with songs like Jumping Jack Flash, Satisfaction, Born to be Wild, Smoke on the Water, and Sweet Home Alabama. There is no volume control though so this could get annoying very quickly. Things have been bad for the music industry ever since itunes and it is getting worse. Physical album sales are expected to drop 40%. The RIAA in the US and the worldwide IFPI have often said that these drops in sales are only due to piracy, but we all know that that is just bogus. Much of the drop is due to the decline of the album format. Much of the industry’s sales has always been due to stronger whole albums in some cases and of course the necessity to buy a whole album at $15 to $20, even when you only want one or two songs. Strong quality albums are what sells. Quality. Are there any modern Beatles? Stones? Bah. I’m going back to bed. If you like Auto-Tuning, check this out. T-Pain has been using Auto-Tune so much that it’s become his trademark sound, and people have been capitalizing on this. 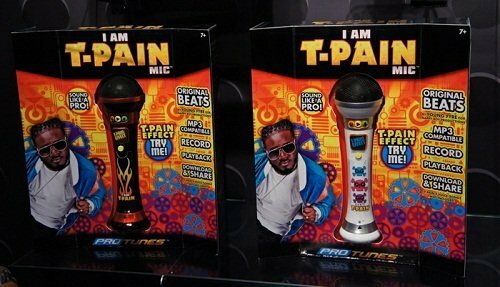 The “I Am T-Pain Mic“ will let you sing into the microphone and it will play it back in T-Pain’s signature voice. You can even record your singing and transfer the file to your PC if you want to. Is it worth $40? Well, I guess that depends on your taste in music. TDK is offering their Life On Record line of products, which include a great build quality and industrial design that includes elements like aluminum, a retro look and a graphic equalizer. They can be connected to music players and USB drives. 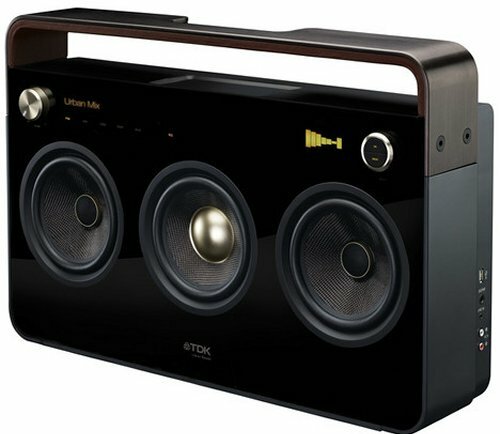 The three speaker Boombox will cost you $499. All of the items look absolutely awesome. If you want to get all the details, keep an eye on TDK’s website. Their Life On Record page should be up very soon. We hope to see more devices in this style. If you want to convert your vinyl collection into a digital format, then here’s another option. The Victoria Retrowriter from Grace Digital Audio will do the job while looking perfectly retro. The device is a multi-functioning music system that allows you to record your music from vinyl or from auxiliary RCA inputs to blank CD-R/RW’s. The Grace Digital Audio Victoria Retrowriter will cost you $158.88. It won’t fool anyone into believing that it’s an actual vintage piece of hardware, but it looks cool. Look if you haven’t given up on cassette tapes by now, you probably never will. 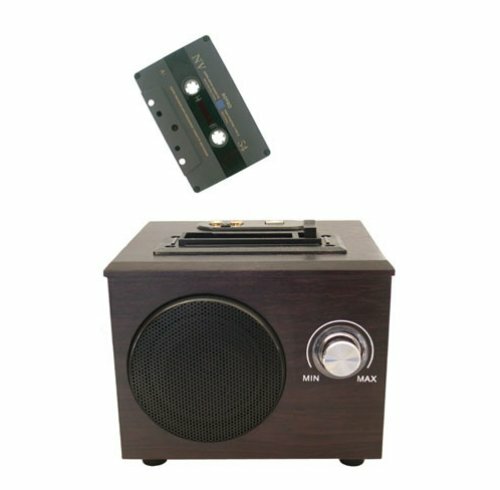 But if you ever want to let that old cassette player rest in peace, then the Novak Cassette to Digital Converter is what you need to transfer your old cassettes into digital formats. The device couldn’t be easier to use. Just insert a cassette tape, hit “record,” and you’re off. You now have digital music in either MP3, WAV, or WMA files. The Novak Cassette To Digital Converter also has a USB port and a built-in speaker. Pandora has it’s sights set on a variety of options for in-car music streaming. The news comes straight from Pandora’s Chief Technology Officer, who told attendees at the SF Music Tech Summit that the company is working with car manufacturers to more thoroughly integrate Pandora into vehicles. Apparently the first thing they are concentrating on is an in-dash or hands-free option so you can use a docked device running Pandora. Then, “within a few years,” that could evolve to include Pandora services built right into in-car entertainment systems. Remember that James Bond movie with the Ice hotel? The entire hotel was sculpted out of Ice and it’s for real too. Everything in the hotel is completely usable. Similarly, artist Katie Paterson taken the idea and made recordings of 3 glaciers (the Langjökull, Snæfellsjökull and Solheimajökull) of Iceland. She pressed them into three records that were cast and frozen with the melt water from each of the glaciers. 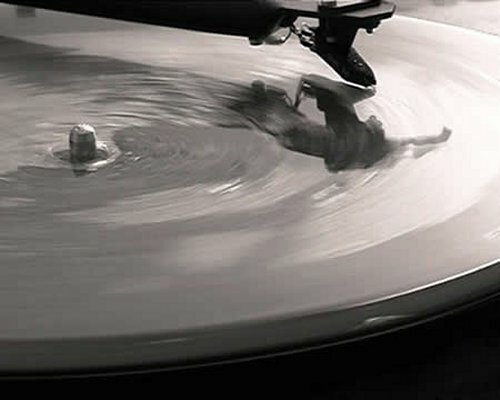 When the time came, the records were played on three separate turntables non-stop until they melted. The process took only 2 hours. 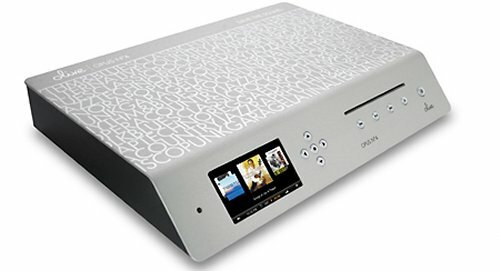 Olive has unveiled a new line of stereos today in the form of the Opus. And it has some serious storage capacity and a unique design. It’s official name is the Opus No. 4. This stereo will conveniently save imported CDs in lossless FLAC format and has a touchscreen menu. It will let you make playlists, listen to online radio stations and more. There’s also wireless playback. The Opus is available in several models to suit your needs. There’s a 500GB model, a 1TB model and an extreme 2TB model. 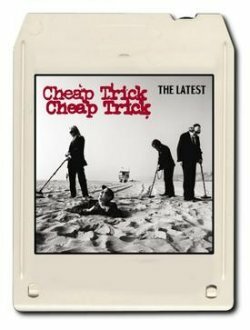 Cheap Trick are living up to their name. Their latest trick is that their newest album will be released on an 8-track tape. Hows that for gimmicky marketing? On one hand, no one will ever hear your songs, but on the other, your stunt will get all kinds of publicity for when the tracks hit iTunes. It will cost you $30 if you still own an 8-Track player. The new album is comprised of 12 songs broken into four sets of three songs each. It must have been hard to edit them to adhere to the four 10-minute slots on a standard 8-track. 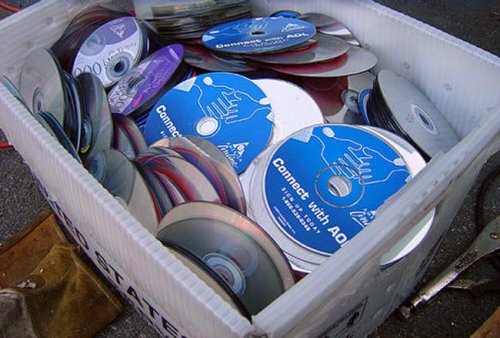 Since sales of physical music formats have declined dramatically with the massive adoption of digital music, record companies have been struggling to find a new format that music fans will buy. For instance, SanDisk launched its slotMusic format to try and boost physical music sales. Gemalto and Universal Music have announced another new music format called the Smart Video Card. The rectangular card has a hole for a DVD player spindle and a SIM card with up to 120MB of content stored. If you’ve been paying attention to the gadget world you know that we’ve featured many turntables. Companies are making more and more. Seriously, people are spinning more vinyl. 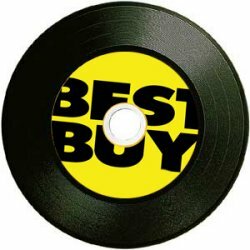 And according to the New York Post, Best Buy is thinking about selling vinyl records in their stores. Yes, it’s hard to believe. Vinyl albums’ sales are growing. As much as 15 percent in 2007 and 89% more in 2008. The 2009 forecast is even better. And so Best Buy has started a pilot program in 100 stores. The results were good. So good that they are thinking about using as much as eight square feet in each of their stores to sell vinyl records. Fans of both The Beatles and Rock Band have reason to get excited. Very excited. Are you sitting down? MTV Games and Harmonix have just announced a partnership with Apple Corps, Ltd. to bring the band’s music (and instruments) to the Rock Band universe. 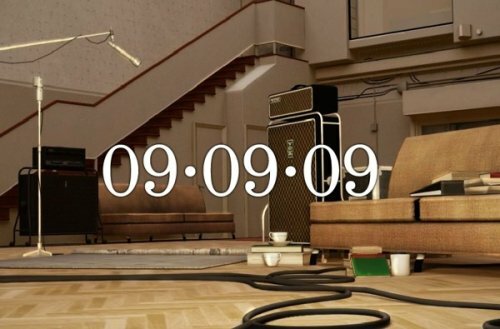 The game will apparently premiere with a set of new hardware “modeled after instruments used by John Lennon, Paul McCartney, George Harrison and Ringo Starr throughout their career.” If you ceck out the site, there’s a holder page up with a launch date of September 9th, but as soon as we get more info, we’ll pass it on. 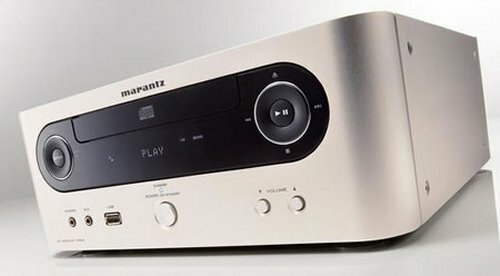 Marantz, known for its luxury hi-fi output, has announced the CR502, an all-in-one music system. 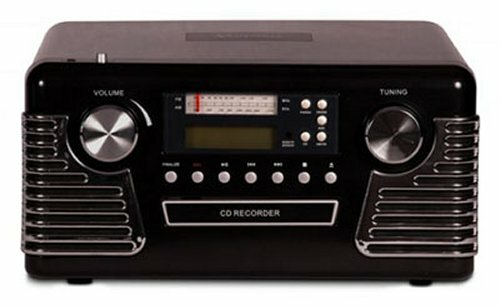 The CR502 consists of two stereo amplifiers, each with 2 x 25W, adding up to 100W of music output and comes complete with a CD drive and DAB tuner. You’ll also get a variety of inputs and outputs that includes a USB 2.0 port. It’s all packed into a compact aluminum chassis. The CR502 will also give you a clock radio and alarm with sleep functions. This all-in-one will cost you about GBP 499.